February is a month that is heavy on emotion. 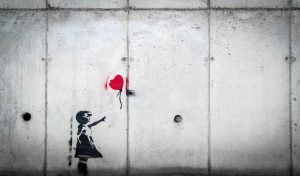 Even though it’s a quick month, Valentine’s Day tends to overshadow the rest of it, because it seems like it’s everywhere. It’s on TV, in movies, plastered over social media, and even in the news. For many people, Valentine’s Day can be a mixed bag. A day (or, let’s face it, a month) spent celebrating romantic love can be overwhelming for folks who are single or in relationships, but there is an added layer of emotion for people who are grieving a loss. 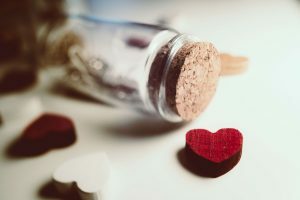 Any holiday can be a tricky event after a loss, but Valentine’s Day can be extremely difficult for the surviving partner (or partners). While people who are grieving feel their grief every day, holidays can trigger a flood of emotions and memories that can be devastating in ways that ordinary days do not. At Grief Recovery Center in Houston, we understand that grief is different for everyone, and that what works for one person might not work for you. Yes, Valentine’s Day is typically a celebration of romantic love (whatever that means to you), but it can also be an opportunity to show other people in your life some love. If you’re not up for seeing anyone you’re close to on the 14th, you may want to use this as a chance to show love for your community through volunteer work or even just by doing something nice for a random stranger. Focusing your energy into non-romantic love can be a way to give your emotions an outlet without spending the day dwelling on your loss. Part of the reason holidays can be so tough for those grieving a loss is because holidays are usually steeped in all sorts of traditions or rituals. If you used to spend Valentine’s Day with a partner who is no longer there, reminders of traditions you used to share together can be especially painful. You don’t have to force yourself to follow those traditions just in the name of the holiday – you can create new traditions for yourself. For example, if you used to always go out on a special date with your partner, you can switch things up and cook yourself your favorite meal or try a new cuisine you’ve been curious about. Here are some more ideas for new holiday rituals you can try! This doesn’t necessarily mean that you need to open up to someone else in your life, although if that works for you, that is a great option. One way to process your feelings about Valentine’s Day and your loss is to journal. You don’t have to put pressure on yourself to write anything perfect or profound, this is just for you. Write how you’re feeling, what you’re thinking, happy or sad memories, or anything you want to let out. If talking works better for you, you can record a voice memo on your phone and say whatever you need to say. If journaling isn’t your thing, you can write a letter to your partner (or to yourself) and keep it somewhere you can refer to it for support if needed. It can be helpful to share your story with others who understand where you’re coming from, whether that is a counselor, a support group, or another person grieving the person you lost. It can be easy to isolate yourself on holidays, but this may not be the best strategy to help you deal with your loss. You can ask a doctor or counselor for a recommendation for a support group, or you could search online or on social media to find a group that fits your needs. Another option is to spend some time with other people who loved your partner. They will be feeling the loss too, and while your grief may not be the same, you can share memories and lean on one another. Remember, you are not alone in this process. You deserve support in your time of mourning. Another way to support yourself through a tough day is to focus on taking care of yourself. Make sure to take care of your physical self along with your emotional self – eat balanced meals, stay hydrated, and move your body. Take a long, luxurious shower or bath. Read a favorite book, do a puzzle, practice a hobby, or even try something new. It doesn’t have to be social media worthy to be self-care, it just has to work for you. If you need additional support while working through your grief, you can contact our licensed Houston therapists at Grief Recovery Center for more info today.